Discover benefits of grapes for the body, skin and hair! Grapes are known as the “queen of fruits”. This small, round, fruit has high nutritional content for maintaining good overall health. Grapes are rich in vitamins, minerals and powerful antioxidants! 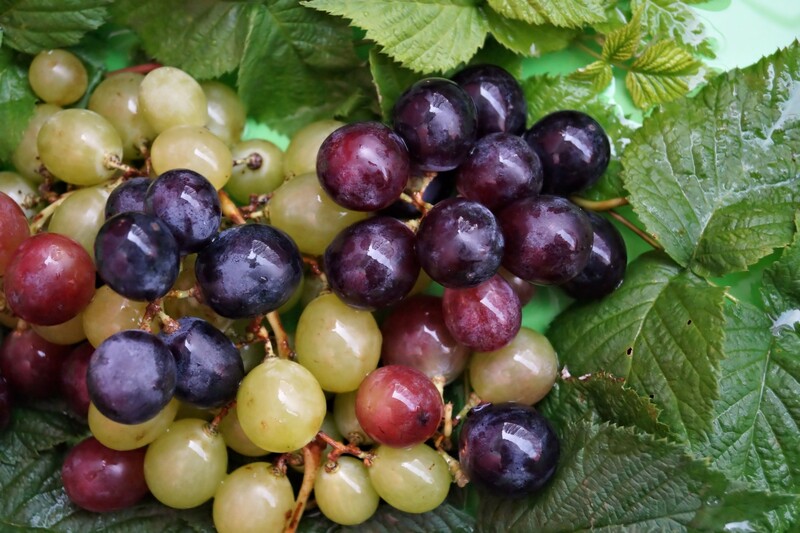 Resveratrol, an especially powerful antioxidant, is found in the skin of red grapes. Grapes have high water content and fiber. They contain natural sugars with a sweet or sour flavor. Grapes grow on vines in different colors: red (crimson), yellow, orange, green (white), orange, dark blue, black and other colors. Grapes with dark skin have more phytonutrients. Red grapes are lower in calories than green grapes. Grapes are antibacterial, antiviral and anti-inflammatory. Buy ripe grapes that are wrinkle free, plump, firm and attached to stem. Avoid grapes that are soft, discolored or moldy. Wash and rinse grapes of pesticide residue before use. Store grapes in air tight container in refrigerator or freezer. Their quality tends to diminish with time. They spoil sooner when stored at room temperature. Bad grapes will smell somewhat like vinegar. Discard rotten grapes. Eat raw or in delicious grape DIY recipes. 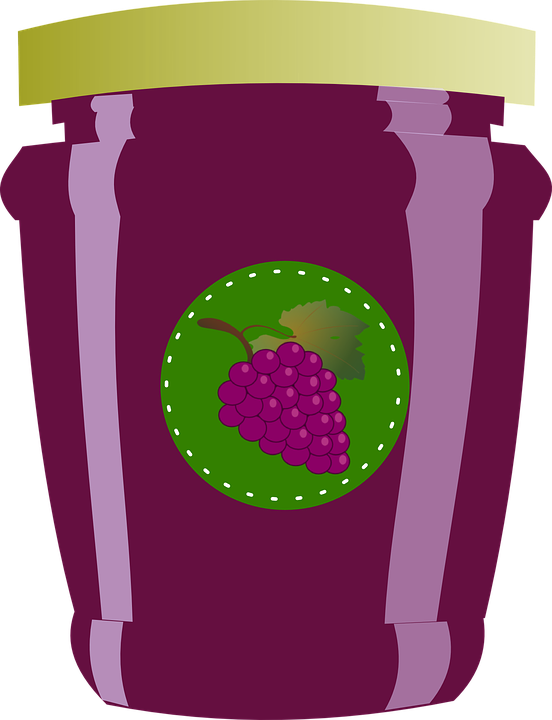 Make jams, jellies, juice or wine. Dried grapes are used in breads, puddings, cakes and muffins. Grapes have anti-aging properties. Their high water content helps skin stay hydrated. Their antioxidants combat free radicals that cause poor skin condition: wrinkles, dark spots, discoloration and uneven skin tone. Their high vitamin C content helps form collagen; adding elasticity, strength and firmness to skin. Grapes lighten acne scars. They detoxify the body, helping to give a youthful complexion. Mash up 3 or 4 black grapes in a bowl. Mix in one tablespoon of plain yogurt. Add a few drops of lime juice. Mix all ingredients well. Gently apply homemade face mask. Leave on face for approx. 15 - 20 minutes. Rinse off with warm water. Gently pat dry. -- Mashed Grapes - 2 tbsp. -- Plain Sour Cream- 1 tbsp. -- Carrot Juice- 1 tbsp. -- Rice Flour- 1 tbsp. Mash grapes in a bowl to a pulp. Add plain sour cream, carrot juice and rice flour. Mix all ingredients well, until it forms a pasty texture. Gently apply homemade face mask. Leave on approx. 15 - 20 minutes. Rinse off with warm water. Pat dry. Mash grapes in bowl to a pulp. Add 1 tablespoon honey. Mix ingredients together. Gently apply homemade face mask. Leave on for approx. 15 - 20 minutes. Rinse off with warm water. Pat dry. Black grapes are good for improving hair and scalp conditions. HOMEMADE DIY RECIPE: Mash black grapes and apply to hair. Leave on for approx. 15 minutes. Wash hair and rinse with water. Air dry hair.